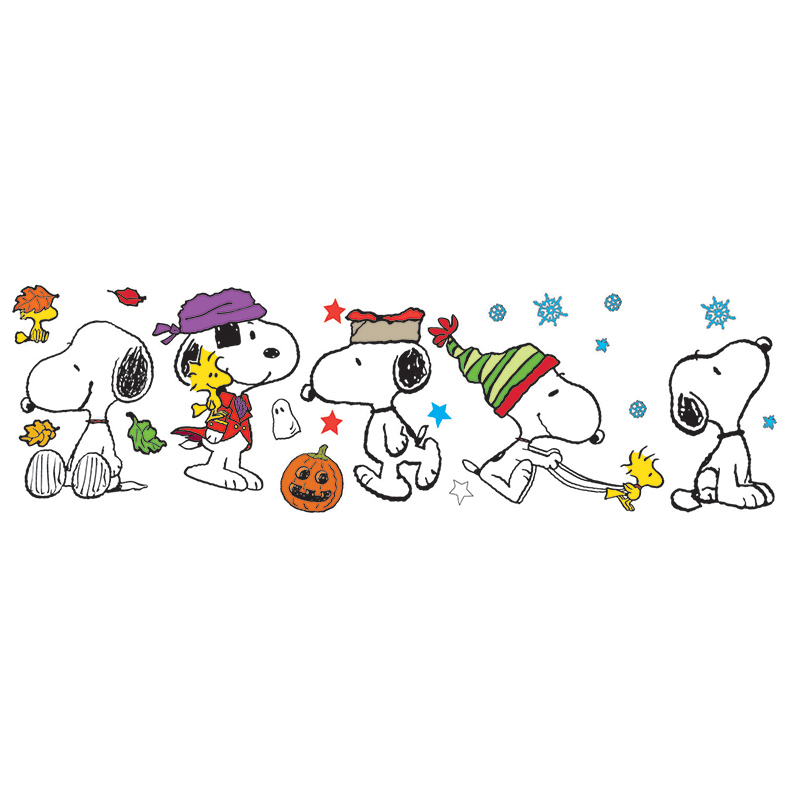 Peanuts Fall and Winter Snoopy Poses Bulletin Board Set. 41 pieces set includes: 1 Snoopy Fal Set (7 pieces). 1 Snoopy Halloween Set (8 pieces), 1 Snoopy Veterans Day Set (11 pieces), 1 Snoopy Christmas Set (4 pieces), 1 Snoopy Winter Set (11 pieces).